The water infrastructure most in need of upgrading happens to be in New Jersey’s oldest cities — which are in many cases the most distressed places in the state. They have high rates of poverty and disinvestment, meaning the resources available to pay for these upgrades are extremely limited. But even in New Jersey’s suburbs, the pipes that carry drinking water and collect sewage and stormwater are aging and in need of costly upgrades and repair. Too often, out of sight has meant out of mind when it comes to maintenance. Jersey Water Works is helping to identify practical and innovative financing practices to help these places complete the necessary upgrades. Upgraded water systems provide a basis for greater economic growth, so the financing mechanisms represent an investment in our cities’ future. 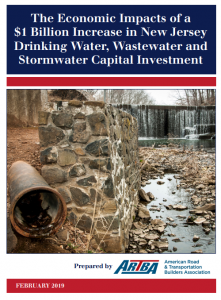 This report, The Economic Impacts of a $1 Billion Increase in New Jersey Drinking Water, Wastewater and Stormwater Capital Investment, examines how investing the additional $1 billion needed on the drinking water, wastewater and stormwater networks would create economic benefits throughout the state economy. The report was commissioned by the Utility and Transportation Contractors Association. 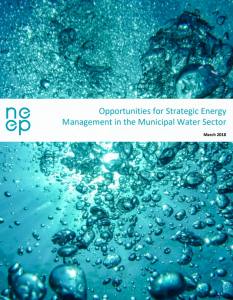 This report, Opportunities for Strategic Energy Management in the Municipal Water Sector, focuses on the opportunity to integrate Strategic Energy Management (SEM) into the municipal water-wastewater sector by providing recommendations and resources for key stakeholders, namely municipalities and those working within the facilities and utility program administrators who are in a strong position to support adoption. 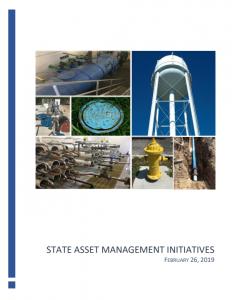 The report presents findings related to energy use in water and wastewater treatment facilities, barriers preventing SEM implementation in the municipal sector, and opportunities to address those barriers and expand SEM adoption in water-wastewater treatment facilities in the Northeast & Mid-Atlantic region. Section 1: Organization and Operations presents a general profile of the respondents including population, size and characteristics of service area. 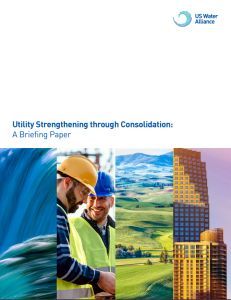 Section 2: Planning presents insights into what utility managers perceive to be the most important industry issues and stormwater infrastructure investment drivers. This section also highlights utility governance, the types of permit requirements that utilities have to comply with and the planning activities utilities engage in to address stormwater management. In addition, a new question was added this year regarding public-related partnership agreements (Question 13). 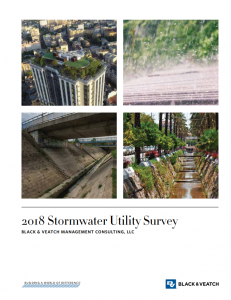 Section 3: Finance and Accounting reviews stormwater utility revenues, expenditures, sources of funding, and the adequacy of stormwater funding to meet utility obligations. Section 4: Stormwater Rate Structure and Billing presents the types of costs recovered through user fees, the fee methodology used in setting rates, the rate structures and billing practices, and the average monthly residential rate of each utility that participated in the survey. Information on the types of exemptions and discounts that utilities offer, and insights on legal challenges are also provided. Calculated bills reflect rates in effect as of June 1, 2018. Section 5: Stormwater Credits and Incentives offers insights into the types of credits, criteria used in offering credits, and innovative credit programs. Section 6: Public Information/Education assesses the methods of education and multi-media sources used in educating and in disseminating information.